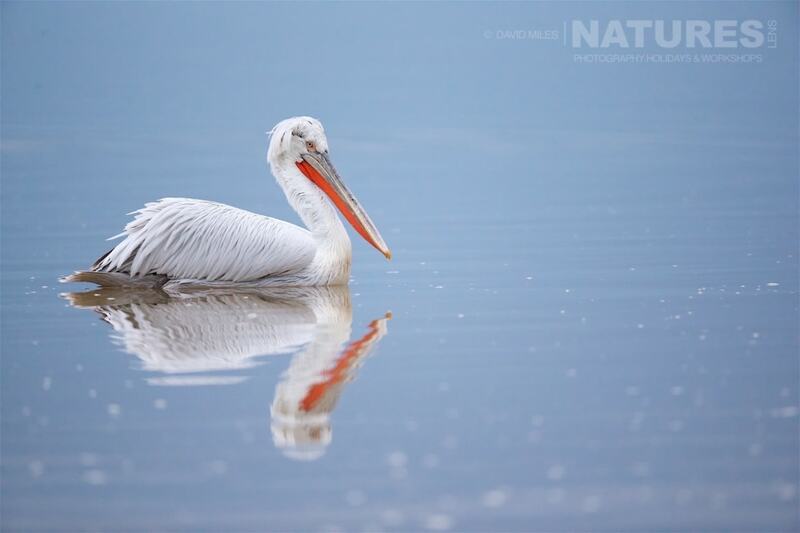 If you fancy photographing the Dalmatian Pelicans of Lake Kerkini in 2018 – we have spaces left in limited numbers on both our Dalmatian Pelican Photography Tours – you can view all the details of the first trip to photograph the Greek Pelicans here or the second trip to photograph the fabulous birds of Kerkini is detailed here. The first trip has a number of places left, which runs for the dates of January 11, 2018 – January 15, 2018, the second trip, over the dates of January 15, 2018 – January 20, 2018 looks like it might be approaching full capacity, 2018 will be the fourth year of annual visits to the Greek lakes & will follow the format that has evolved over the last few years. There are travel days either side of the trip, but as a minimum you can expect to experience 3 days ﬁlled with Dalmatian Pelican photography opportunities – at least 3 boat trips onto Lake Kerkini included – plus 3 shoreline feeds at sunset – & an extra shoreline feed on the morning that the group leaves for the airport. Our itinerary is not fixed to the above however, if there are opportunities for a feed on the way to the hotel from the airport, on the first afternoon, you will undertake a shoreline feed to capture some initial images. 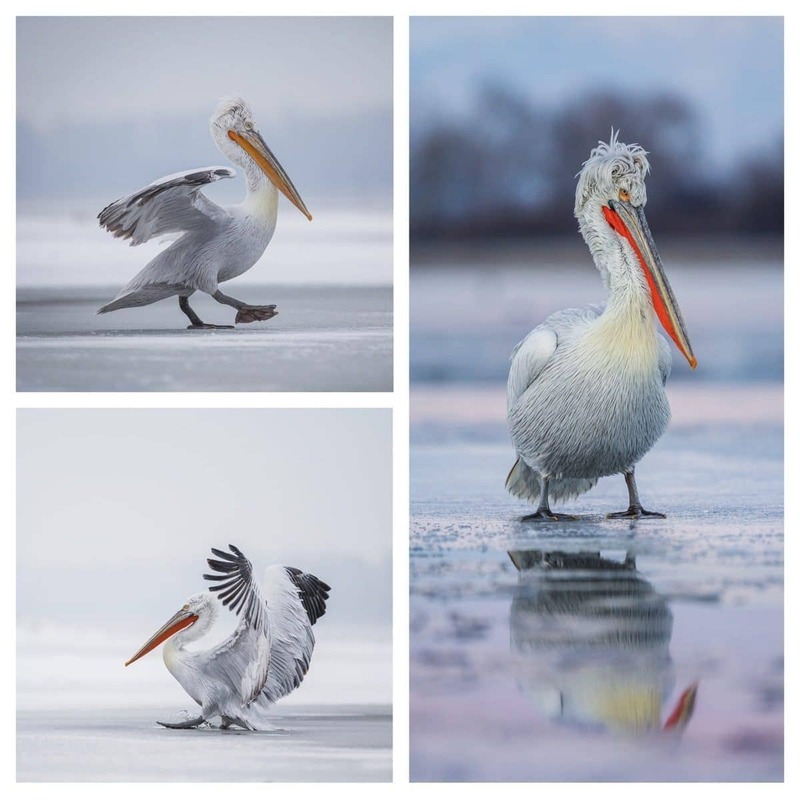 You will have opportunities to capture a wide selection of images; portraits & closeup shots of perched Dalmatian Pelicans, pelicans calling, ﬂying, ﬁghting for ﬁsh; plus wider bird in the landscape images to show impressive backdrop to the lake with the snow covered mountains in the distance. The timing of the workshop is deliberate to photograph the birds whilst they are in their breeding plumage & looking their most impressive. Lunch, dinner, bed & breakfast accommodation & transportation within Greece included. Accommodation is in a comfortable hotel on the shores of Lake Kerkini – we dont have single supplements & we don’t have shared rooms. This entry was posted in announcements, photography holidays, worldwide tours and tagged dalmatian pelican, greece, no shared accommodation, no single supplement, thessaloniki. Whatever your query regarding our photography holiday, Dalmatian Pelican s in, please fill out your details below & we will get back to you.